When YOU are ready and willing to get help with those aches and pains, come see us. Even if YOU aren't dealing with the typical pain or discomfort, but looking to prevent issues in the future, this is the place for YOU. Our number one focus is to improve YOUR quality of life and getting you back to "YOU." The birthing process isn’t always only traumatic for mommy. From minute one babies spines are susceptible to dysfunction. Many times parents will notice issues with feeding (latching on or only feeding on one side), issues with sleeping, excessive crying, hard to pass stools, or noticeable issues with sleeping. As they age they intuitively learn to crawl, walk, and eventually run. But, not without many, many trials of falling and bumping into things. These little bumps add up and can have an effect on their sensitive system. We love to see these little future athletes come into the office. 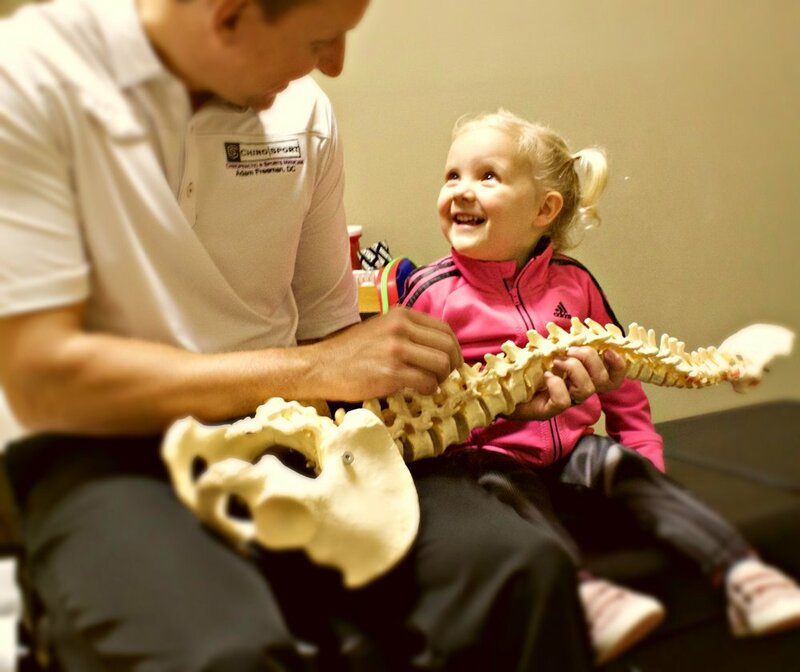 We want everyone to have their greatest chance at success and chiropractic can help. We often forget what it’s like to be teenagers, and I think many of us are thankful for that. However, teens, especially brand new ones, are growing at a fantastic rate. With the exponential growth in bone, the muscles have a hard time keeping up and stabilizing the joints the same way they used to. Developing compensations at this age is very common and can lead to future issues. Other factors that play a role in a teens life is changes in hormones, need for essential nutrition, and sleep requirements. As adults (or just bigger kids) some of us have gone year after year dealing with the aches and pains. While it may seem like some of those pains just “go away.” The mechanisms our body uses to innately deal with pain can vary. The one thing that rings true universally, is that it creates STRESS. Stress is known to down regulates nearly every chemical process in the body. It effects sleep, digestion, how we feel pain, how we recover from athletic endeavors, how we deal with outside influences, and on and on. Bottom line is, as we age we don't necessarily need to FEEL older.